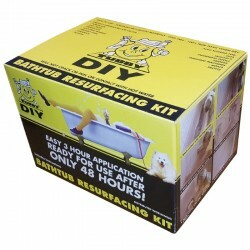 The TUBBY DIY bath refinishing and bathtub resurfacing kit transforms worn out and discoloured sanitaryware with a fresh new look. Bath, basin and tile surface repairs are easy to do with this proven comprehensive kit which contains all items required to refinish your bath. And there are 48 colours to colour co-ordinate your bathroom. Is your tile grout looking dirty and grimy? 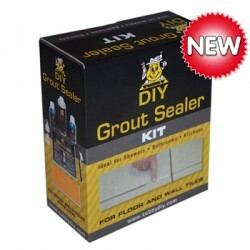 The TUBBY DIY grout sealer kit is formulated to apply over dirty grout surfaces without the need to re-grout. A simple 3 step process will transform the look of your tile grout (and tiles too!). Available in different colours, the grout colour can also be changed without the need to re-grout. 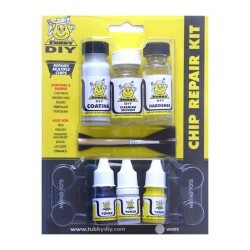 The TUBBY DIY chip repair kit enables you to repair small chips on your bath, basin and tile surfaces. It is made of the same coating material that is used to resurface and refinish bath surfaces. The chip repair kit contains sufficient coating materials to repair several chips on sanitaryware surfaces. © 2007 - 2019 Tubby DIY. All rights reserved.